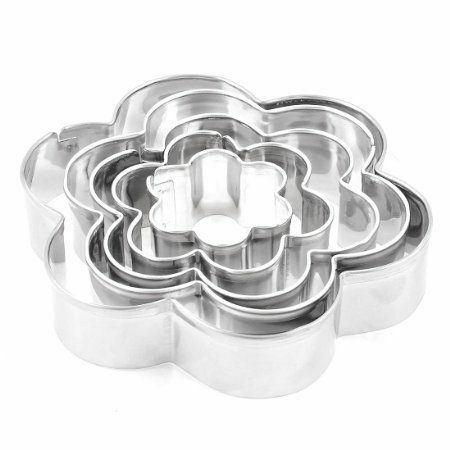 Flower Shape Pastry Biscuit Cutter 5 Pieces Just $4.93! Ships FREE!! You are here: Home / Great Deals / Amazon Deals / Flower Shape Pastry Biscuit Cookie Cutter 5 Pieces Just $4.93! Ships FREE! Flower Shape Pastry Biscuit Cookie Cutter 5 Pieces Just $4.93! Ships FREE! Head over to Amazon and order the Flower Shape Pastry Biscuit Cookie Cutter 5 Piece set for Just $4.93! Shipping is FREE!